Key Biodiversity Areas focus on safeguarding global biodiversity and are recognised as vital land, freshwater, and marine sites for threatened plants and animals. They are currently identified using the “Global Standard for the Identification of Key Biodiversity Areas” set out by the IUCN in 2016. These criteria have quantitative thresholds devised over years of planning. A KBA Partnership formed of 11 organisations at the forefront of nature conservation has been created specifically to monitor and expand KBAs’ global progress. 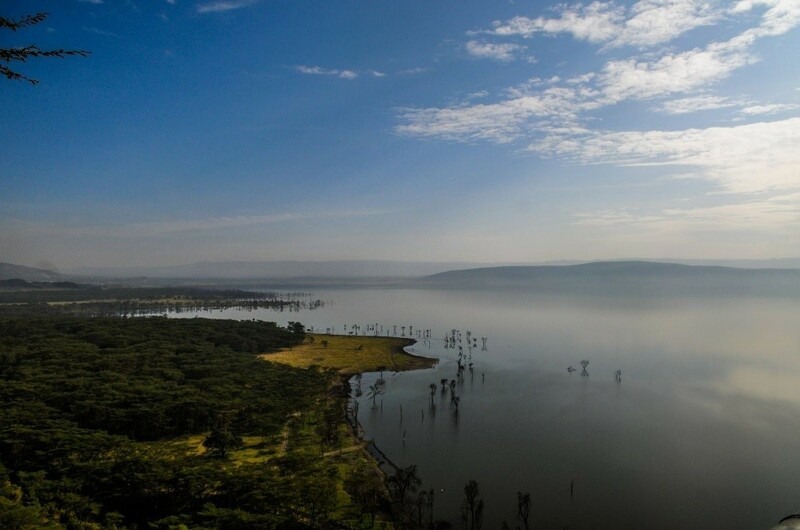 Key Biodiversity Areas (KBAs) are sites of global significance for the conservation of biodiversity, such as Kenya’s Lake Nakuru Catchment pictured above. Currently there are 15,524 KBAs acknowledged worldwide, and more are continue to be identified nationally using simple, globally standardised criteria and thresholds, based on biodiversity requiring safeguards at the site scale (Eken et al. 2004, Langhammer et al. 2007). There are 11 criteria organized into five categories, namely (1) threatened biodiversity, (2) geographically restricted biodiversity, (3) ecological integrity, (4) biological processes, and (5) irreplaceability. As the building blocks for designing the ecosystem, bottom-up approach and maintaining effective ecological networks, Key Biodiversity Areas are the starting point for landscape-level conservation planning. Governments, inter-governmental organisations, NGOs, the private sector, and other stakeholders can use KBAs as a tool to identify and augment national systems of globally important sites for conservation (Langhammer et al. 2007). The KBA Partnership that was launched in September 2016 is designed to: identify, map, and document KBAs worldwide; promote targeted conservation action in KBAs; and inform and influence public policy and private-sector decision-making (BirdLife International, 2016). This partnership comprises BirdLife International, the International Union for the Conservation of Nature, Amphibian Survival Alliance, Conservation International, Critical Ecosystem Partnership Fund, Global Environment Facility, Global Wildlife Conservation, NatureServe, the Royal Society for the Protection of Birds, World Wildlife Fund, and Wildlife Conservation Society. KBAs extend the Important Bird and Biodiversity Area (IBA) concept to other taxonomic groups and are now being identified in many parts of the world, by a range of organisations. Examples include Important Plant Areas (IPAs) (Anderson 2002, Plantlife International 2004), Prime Butterfly Areas (van Swaay and Warren 2003), Important Mammal Areas (Linzey 2002) and Important Sites for Freshwater Biodiversity, with prototype criteria developed for freshwater molluscs and fish (Darwall and Vié 2005) and for marine systems (Edgar et al. 2008). All IBAs are KBAs, but some KBAs are not IBAs (i.e. they are significant for the conservation of other taxa, but not birds). Nevertheless, the IBA network has proved a good approximation to the overall network of KBAs, as it includes the bulk of other target species and the most significant sites. IBAs are thus an excellent starting point for immediate conservation planning and action while other sites are added to complete the network as data become available. For example, IBA data has been relied upon extensively by the European Union in their EU Birds Directive when selecting Special Protected Areas. Currently one of the many uses of KBAs is to help governments and communities achieve the 2020 Aichi Biodiversity Targets, especially targets 11 and 12 that focus on expanding the protected area network and preventing extinction of all known threatened species. Anderson, S (2002) Identifying Important Plant Areas. London, UK: Plantlife International. BirdLife International (2017) The World Database of Key Biodiversity Areas. Developed by the Key Biodiversity Areas Partnership: BirdLife International, IUCN, Amphibian Survival Alliance, Conservation International, Critical Ecosystem Partnership Fund, Global Environment Facility, Global Wildlife Conservation, NatureServe, Royal Society for the Protection of Birds, World Wildlife Fund and Wildlife Conservation Society. Darwall, W. and Vié, J. C. (2005) Identifying important sites for conservation of freshwater biodiversity: extending the species-based approach. Gland, Switzerland and Cambridge, UK: IUCN. Edgar G. J., Langhammer P. F., Allen G., Brooks T. M., Brodie J., Crosse W., Da Silva N., Fishpool L. D. C., Foster M. N., Knox D. H., Mccosker, J. E., Mcmanus, R., Miller A. J. K. and Mugo R. (2008) Key Biodiversity Areas as globally significant target sites for the conservation of marine biological diversity. Aquatic Conservation. 18: 969–983. Eken, G., Bennun, L., Brooks, T. M., Darwall, W., Fishpool, L. D. C., Foster, M., Knox, D., Langhammer, P., Matiku, P., Radford, E., Salaman, P., Sechrest, W., Smith, M. L., Spector, S. and Tordoff, A. (2004) Key biodiversity areas as site conservation targets. BioScience 54: 1110–1118. Langhammer, P. F., Bakarr, M. I., Bennun, L. A., Brooks, T. M., Clay, R. P., Darwall, W., De Silva, N., Edgar, G. J., Eken, G., Fishpool, L. D. C., da Fonseca, G. A. B., Foster, M. N., Knox, D. H., Matiku, P., Radford, E. A., Rodrigues, A. S. L., Salaman, P., Sechrest, W. and Tordoff, A. W. (2007) Identification and gap analysis of key biodiversity areas: targets for comprehensive protected area systems. Gland, Switzerland: IUCN (Best Practice Protected Area Guidelines Series 15). Linzey, A. V. (2002) Important Mammal Areas: A US pilot project. In: Society for Conservation Biology. 16th Annual Meeting: Programme and Abstracts. Canterbury, UK: Durrell Institute of Conservation and Ecology. Plantlife International (2004) Identifying and Protecting the World’s Most Important Plant Areas: A Guide to Implementing Target 5 of the Global Strategy for Plant Conservation. Salisbury, UK: Plantlife International. van Swaay, C. A. M. and Warren, M. S. (2003) Prime Butterfly Areas in Europe: Priority Sites for Conservation. Wageningen, Netherlands: National Reference Center for Agriculture, Nature and Fisheries; Ministry of Agriculture, Nature Management and Fisheries.